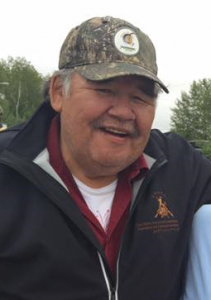 The Deputy Chief assists the Chief in the aforementioned responsibilities and assumes the responsibilities of the Chief in the event that he/she is temporarily unable to assume them or if expressly asked to do so for a specific purpose by the Chief. 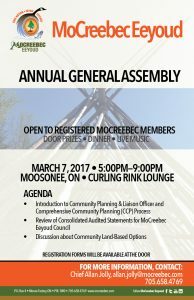 The Deputy Chief is moreover responsible for supporting the development of Clan Councils and registration of members in the MoCreebec Eeyoud. 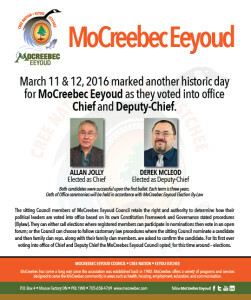 Clan Council representatives to the MoCreebec Eeyoud Council hold primary responsibility for the timely communication of MoCreebec Eeyoud Council business and decisions.